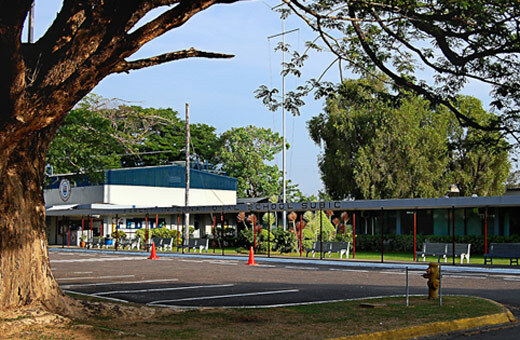 Situated on the heart of the protected forest of Binictican, housing location for active military personnel back in the heydays of Subic Naval Base. 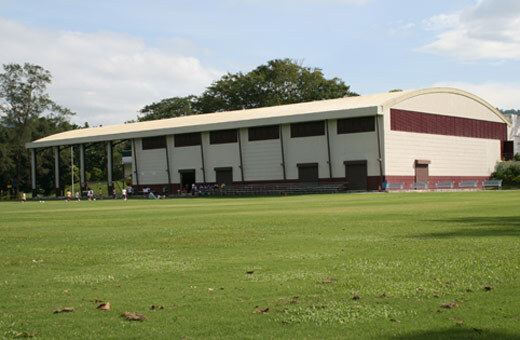 Brent International School Subic occupies the former Binictican Elementary School. 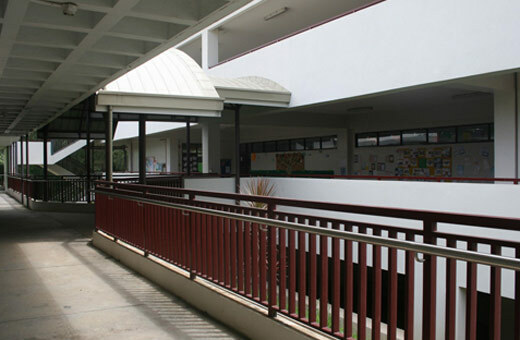 The ELC/Lower School Building was constructed back in 2008; this building houses students from Nursery to Grade 5. 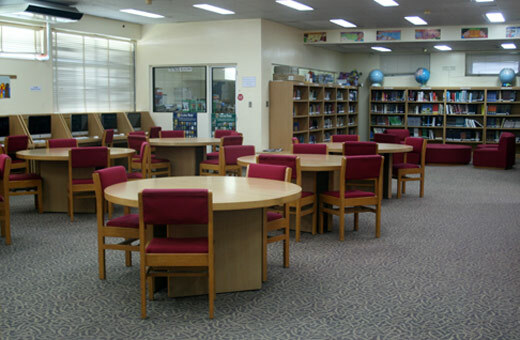 This well equipped library is an ideal place for Middle and Upper School students to study, read books, and research. This facility has a number of computers with Internet connectivity to help teachers and students research through the web. This Library is designed for our younger students. 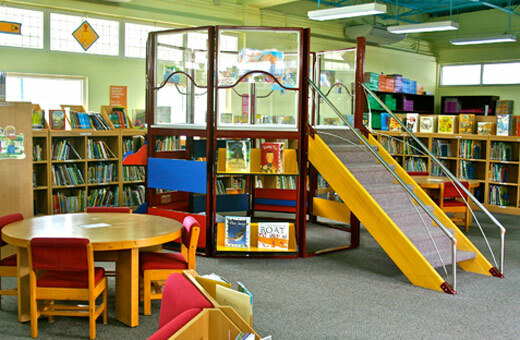 It houses a large variety of children’s books and classroom support materials. Several computers are also available here. 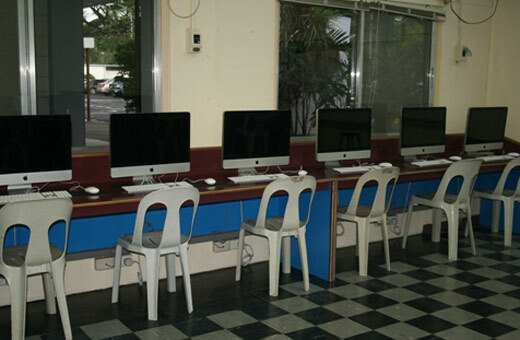 Brent International School Subic is equipped with three-computer laboratories. There is one computer laboratory for each of the Lower, Middle and Upper Schools. There are a total of 74 iMacs with fast Internet connection. These computer laboratories also host MAP Testing during in the first and second semesters. 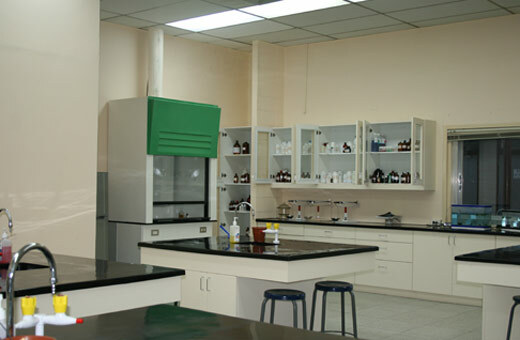 Brent International School Subic has two Science Laboratories for students to conduct their experiments on Chemistry, Physics and other Science subjects. The Brent Cafeteria serves a wide variety of healthy and nutritious food to all Brent students and staff. 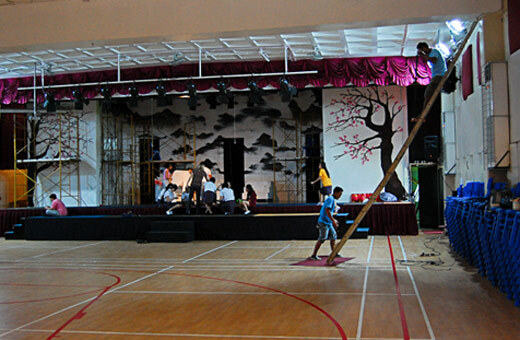 This facility is used for a variety of activities such as; Eucharist Services, Drama Productions, Chapel Services, Parent meetings, Social gatherings, Art Displays and much more. It is fully air-conditioned with an excellent sound system and Wi-Fi hot spots. 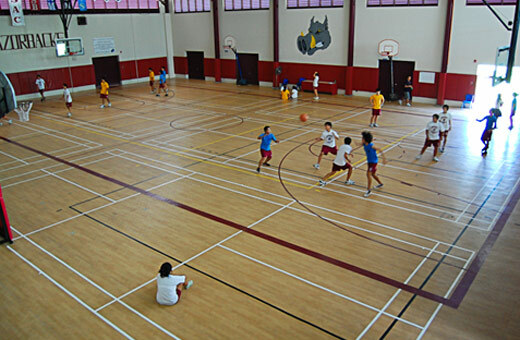 This is the School’s main facility for physical education classes and a variety of sports. 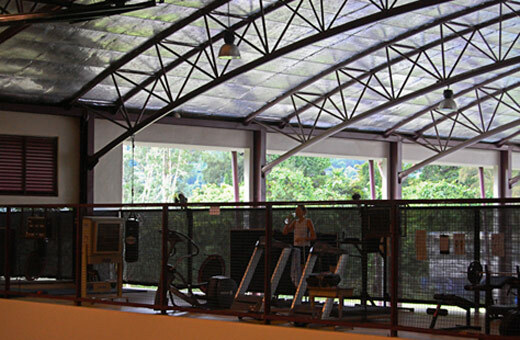 The gymnasium also houses a fitness room. Covered for shade in the hot weather and rain during the wet season. 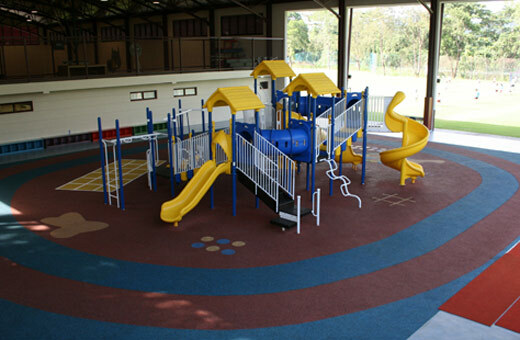 This facility is safe and heavily used by our lower school students. This field is very large and well maintained. It gets heavy use from PE classes, clubs, and our Soccer Teams. Located on the 2nd Deck of the Gymnasium. The swimming pool has dedicated pool staff and lifeguards. 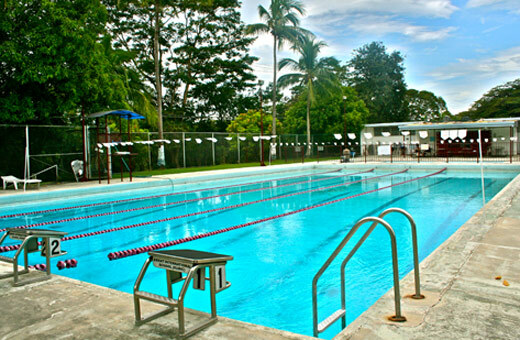 Our Physical Education classes, swim team, and the Binictican community use the pool. Also included, but not shown are two wading pools for very young children. The snack bar, open Monday – Friday 8:00 am – 4:30 pm, serves a variety of food choices which includes beverages (fruit juices, milk, soft drinks, hot chocolate and coffee), French fries, ice cream, pastries, fresh fruit, cookies, sandwiches, and other snacks. The cafeteria is open Monday – Friday 8:00am to 4:30 pm and serves a daily hot lunch that consists of five components: vegetable, rice, fruit or dessert, a protein entree and a drink (chocolate milk, fruit juice or iced tea). The sandwich bar serves assorted sandwiches such as tuna, turkey, BLT(bacon, lettuce, tomato), ham and good old–fashioned PBJ(peanut butter and jelly). Weekly lunch menus are available on our website and are distributed in your child’s homeroom class. 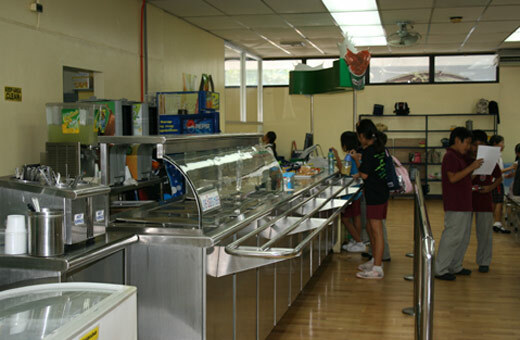 POS debit card system for food sales: Students use the bar codes at the back of their ID cards as a debit card system when purchasing food in all locations. All purchases are charged to a pre-loaded account each time the student presents their ID. Minimum cash deposit of PhP 500 can be made to one’s account at the main register in the cafeteria or cashier’s office. In order to keep our community healthy, our nursing staff comprised of Mrs. Gladys Evidente and Mr. Markel Salva, asks for our cooperation in keeping sick students at home until they are fever free for 24 hours after being ill. Handwashing stations are provided for all community members to avail themselves of before entering the school or cafeteria. Thank you for your support in keeping a healthy community. The basic rule for student behavior on the bus is: be courteous to everyone. Bus riders are to obey the bus attendant and the driver at all times. In case of an emergency, remain quietly seated in the bus unless otherwise instructed by the bus attendant or driver. Parents, drivers, and caregivers are to drop off and pick-up students only at the door of the bus. Drivers and caregivers must have a Brent ID to pick up students. Riders are expected to board their bus upon arrival at the loading area in the afternoon. No loitering and no returning to lockers or the Canteen. Take care of business before going to your bus. Riders are to remain seated at all times. No standing, changing seats, or moving about while the bus is under way. Bags are to be stored under seats and out of the way. Keep personal items off the seats. Litter is to placed in the trashcans provided. The cost of any damage caused by vandalism to the bus or its accessories will be charged to the person or persons reponsible. Windows are to remain closed at all times. Never open the window or door to buy anything from street vendors..
Avoid making unnecessary noise or creating distractions that might divert the driver’s attention. For the safety and well being of all bus riders, misbehavior of any kind cannot be tolerated. Misbehavior is defined as fighting, creating a disturbance, injuring other riders or acting in such a manner as to expose other harm, injury or threat. Other unacceptable behaviors are pushing, spitting, yelling, making obscene gestures, and using vulgar language. First Offense – Warning to the student by the Principal or representative of the Transportation Office. Parents may be contacted if the action is serious.Second Offense – Parents contacted by the Principal.Third Offense – Parents contacted by the Principal. The student may be suspended from the bus from 2 to 5 school days.Fourth Offense – A parent-student-Principal conference held. Student may be suspended from the bus indefinitely.